ARMS (Abuse Recovery Ministry & Services) is a faith-based, non-profit 501(C)(3) organization that exists to serve those who have experienced or are experiencing domestic abuse. They have served over 21,000 victims and survivors of domestic abuse since 1997 and have recently partnered with Citygate Network (formerly Union Gospel Mission). Together, they will reach thousands more. ARMS holds healing programs for women who are experiencing domestic abuse and intervention programs for men and women who have used controlling or abusive behaviors. In some areas, ARMS also has a program for teens, to help them have healthy relationships. Healing programs are available throughout the United States and beyond and are free for victims. Please call us at 503-846-9284 for more information and class locations. ARMS’ National Office is in Washington County, OR but they serve people nationally and internationally. Thank you for visiting our site to learn more about how ARMS programs can heal and restore. Interested in helping ARMS? One of our greatest needs is funding to continue serving people whose lives have been affected by controlling relationships and abuse. One of our expenses is the cost of holding classes. As an example, it costs approximately $75 for a woman to complete the 15 week “Her Journey” classes, but we never charge the participants. Won’t you help by donating today? 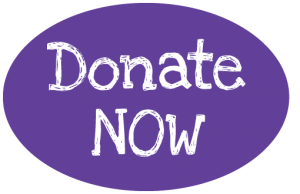 ARMS is a 501(c)(3) organization and your donations are fully tax deductible. Thank you for your support of ARMS! How Can I Tell If He Has Really Changed?